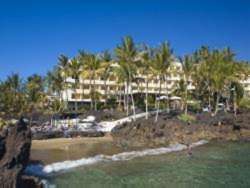 Puerto del Carmen offers a nice collection of quality Puerto del Carmen hotels for the holidaymakers on their Lanzarote holidays. Located on Pocillos Beach, the rooms at Las Costas feature a private balcony, free wired internet connection, a microwave, and fridge. It offers a gym, hot tub and outdoor pool with sea views. Montana Club is 5 minutes’ walk from Playa Grande Beach in Puerto del Carmen, Lanzarote. 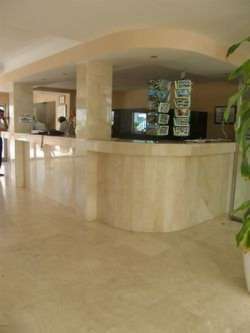 It has 2 outdoor pools and offers apartments with free Wi-Fi and a private balcony. Offering direct access to the beach, Suite Hotel Fariones Playa is 10 minutes’ drive from Lanzarote Airport. It has 3 outdoor pools, and all rooms have terraces with Atlantic Ocean views. An attractive holiday resort located in a peaceful area of Puerto del Carmen, THB Flora is just 800 metres from the beach and 500 metres from the shopping centre. There are leafy gardens that surround the Flora Apartments Lanzarote, where you will find 2 splendid swimming pools with a terrace, bar, nursery and children’s playground. VIK Hotel San Antonio enjoys a beachfront location on Playa de los Pocillos in Lanzarote. It features outdoor pools, tennis courts, and a spa area with sauna and steam bath. The air-conditioned rooms at the San Antonio Hotel Lanzarote are brightly decorated and include a private balcony. A fridge, and tea and coffee making facilities are available for an extra cost. Los Fiscos stands in a quiet area of Puerto del Carmen, overlooking the old town and fishing harbour. Just 500 metres from the hotel guests will find a great choice of shops, restaurants and bars. The beautiful sandy beach of Playa Blanca is only 900 metres away.